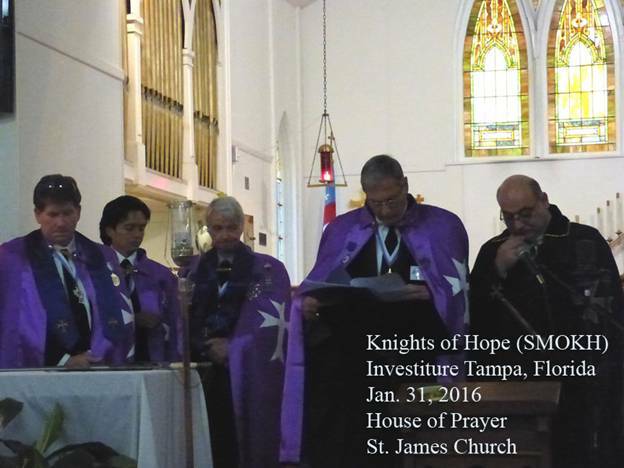 The Annual Investiture of the Sacred Medical Order of the Knights of Hope was held at the end of January after a hugely successful International Lazarite and Hospitaller Congress in Tampa, Florida and marked a series of investitures following the Congress which accommodated the more than 200 delegates of the Order who flew in from various different jurisdictions. It was indeed one of the finest and best attended investitures of SMOKH, which forms part of the United Grand Priories of the Order and whose Hospitaller and Medical work worldwide has achieved milestones in the relatively short time since its creation. Ably led by H.E. 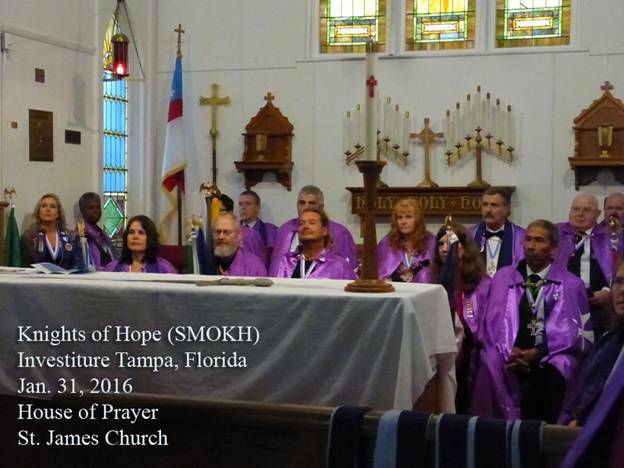 Charles McWilliams and his team of officers, the investiture ceremony was held in St. James Church in Florida and included the raising of 18 postulants who joined the Order from various jurisdictions. 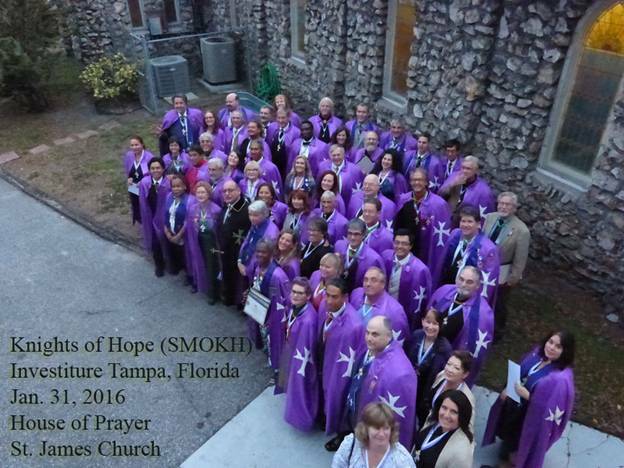 The Supreme Grand Priory was represented by the Grand Chancellor of the Order, H.E. Chev. Massimo J Ellul GCLJ GCMLJ. 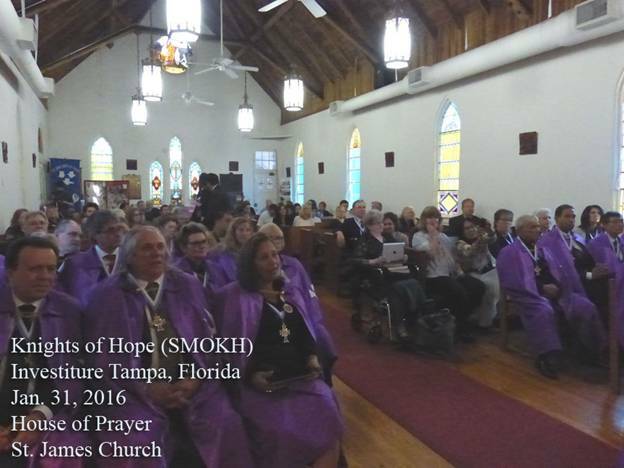 A number of deacons and deaconesses were also given their brevets of office after all the members and postulants took their oath in what was described as a touching ceremony. 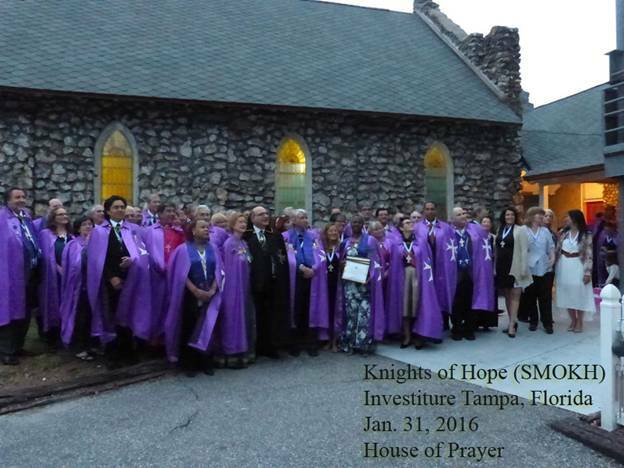 A further 28 postulants also joined the various Grand Priories of the Hospitaller Order of Saint Lazarus during the ceremony in question. 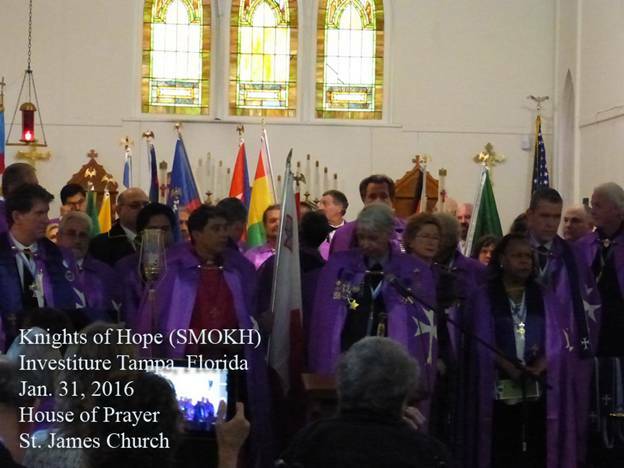 It was indeed a fitting end to the four day International Hospitaller Congress which was held at the Tampa Convention Centre and which also saw the active participation of the Tampa Physicians' Round Table organisation. A number of guest personalities, all experts in their respective medical fields, intervened throughout the event. More information can be gleaned from here.